A black and white photograph of the water ski show at the Whitby Marina during Whitby Harbour Day. 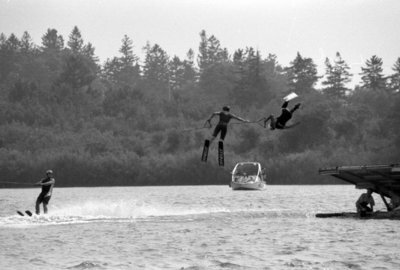 In this photograph one person is water skiing and two people are performing stunts. Whitby Harbour Day, July 28th, 2007, Carl Ferencz. Whitby Archives A2013_035_001D.